1650 Columbia Road, NW 2nd fl. We are a community-minded, love-filled yoga studio that embraces your freedom, your growth and your joy. The mission of Be Here Now Yoga is to help people be receptive to finding their personal truth. BHNY facilitates this by providing a comfortable and safe oasis for students to heal and maintain wellness through high quality yoga and healing modalities. 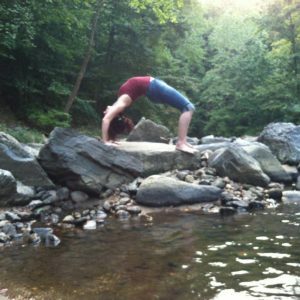 Circle Yoga is a community yoga & mindfulness studio located in Chevy Chase, DC. As the first yoga co-op in the DC-area, our mission is to help our students create physical health, mental ease, & mindful presence. Our studio offers Hatha, Flow, Power Flow, Dharma Flow, and Restorative Yoga classes. We offer knowledgeable, powerful, playful, and diverse instructors who care deeply about the whole experience of yoga, physical, mental, spiritual, and whatever else benefits the individual practitioner. Bhakti Yoga serves to empower individuals with conscious lifestyle practices that transform mind/body/heart. M Street Yoga is Southwest DC’s only yoga studio! M Street Yoga is a full-service yoga studio proudly serving SW DC and beyond.